Judith Nungarrayi Martin was born in 1976 in Alice Springs Hospital, the closest hospital to Yuendumu, a remote Aboriginal community 290 km north-west of Alice Springs in the Northern Territory. Judith comes from a family of artists. Her mother is Helen Nampijinpa Robertson and her grandfather is Shorty Jangala Robertson, both well-known artists who paint for Warlukurlangu Artists. She attended the local school in Yuendumu before studying at Yirara College, an Aboriginal boarding college in Alice Springs. When she finished school she returned to Yuendumu. She moved to Nyrripi in 1991 where she later married a ‘Nyrripi boy’. They have three sons and one daughter. 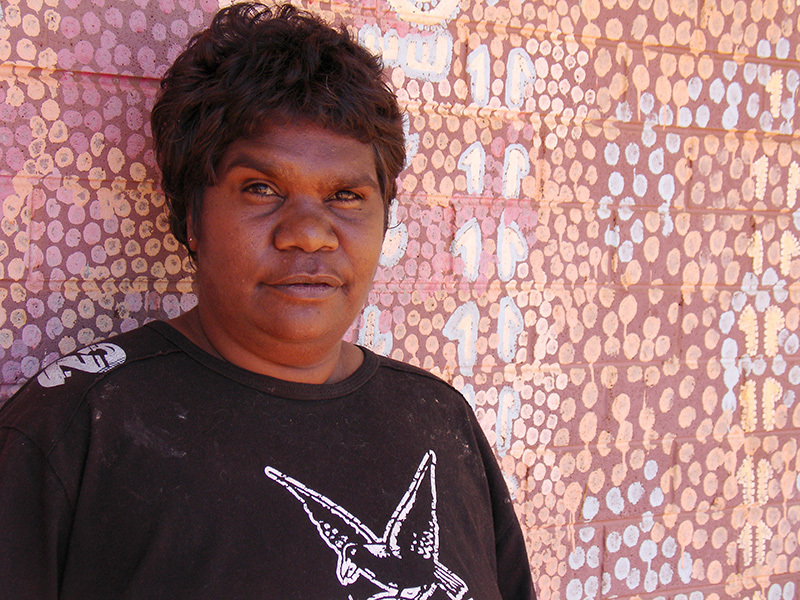 Judith has been painting with the Warlukurlangu Artists Aboriginal Corporation in Yuendumu, since 1994. As a young child, she would watch her family paint and listen to their stories. Although her production of artwork was initially sporadic – she began to paint full time when she had her sons and daughter. “I wanted to paint the stories to teach my kids”. 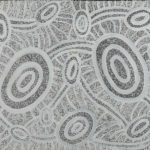 Judith paints her father’s Jukurrpa (Dreamings), that include Janganpa Jukurrpa (Brush Tail Possum Dreaming) and Yankirri Jukurrpa (Emu Dreaming). These Dreamings have been passed down through the generations for millennia and relate directly to the land, its features and the animals and plants that inhabit it. She uses an unrestricted palette to develop a modern interpretation of her traditional culture.